John Buckland Wright, Open Letter to an Editor on Wood Engraving (1940). 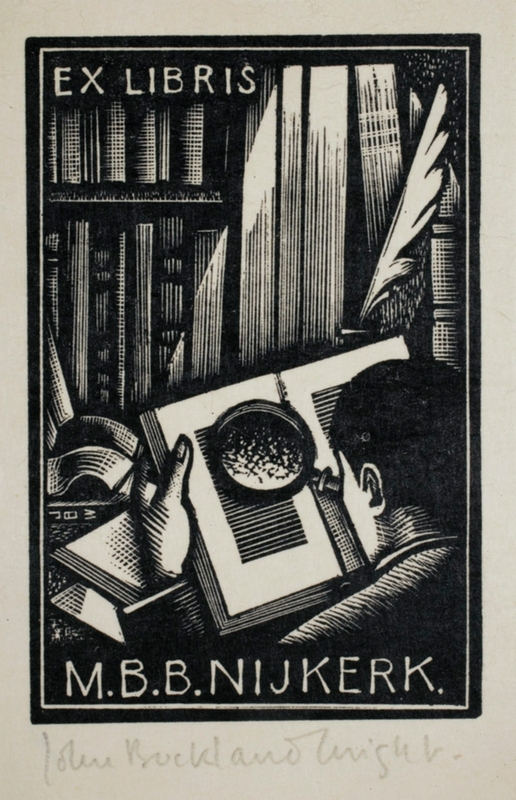 Image above, the ex libris that John Buckland Wright created in 1932 for the Dutch collector M.B.B. Nijkerk. Image from HERE.